Roth’s state-of-the art double-wall tanks are the best you can find. 1. 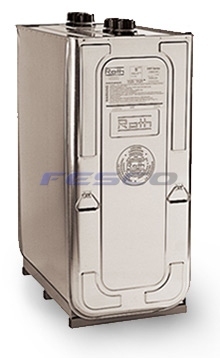 Weld-free galvanized steel outer tank capable of holding 110% of the primary tank. 2. 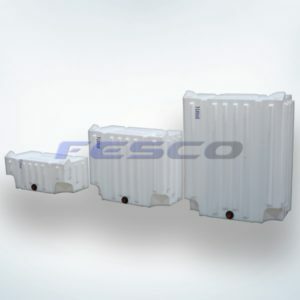 Seamless high-density polyethylene inner tank. 3. Highly visible optical leak alarm. 4. 55% lighter than a 12-gauge steel tank with a larger storage capacity. 5. 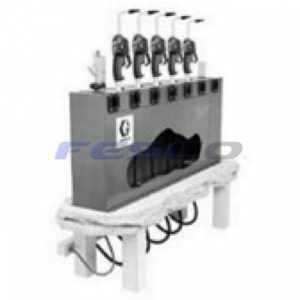 Corrosion resistant steel filling system with external 2″ thread, allowing for an even level in each tank when installed in groups. 7. Cover for outside use. Installation of tanks is faster and easier than ever. Up to 50% lighter than conventional steel tanks. Wide handles on each end facilitates transport and handling. Removable base facilitates access to tight spaces and offers greater stability. 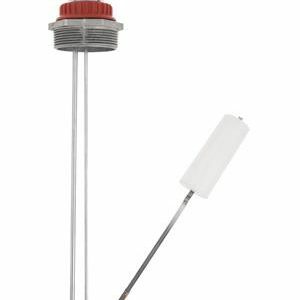 The only tank on the market with no fittings below the oil line. Unique expansion system ensures increase storage capacity and faster, easier fill-ups. Completely sealed, every one of our tanks is pressure tested and meets exacting quality control standards. Better than industry average warranty of 10 years insurance, $2 million clean up policy plus 30 year product warranty. 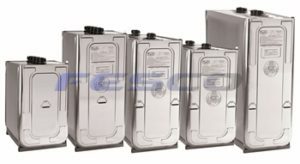 Oil Storage Tanks-Roth double-wall tanks are designed to offer the highest level of environmental protection. Avoid oil spills and leaks caused by defective pipes, couplings or fittings which are located underneath the tank. * Every inner Roth tank is made out of blow-molded, high-density polyethylene that is seamless, absolutely leak-proof and corrosion-resistant. In addition, Roth tanks feature top connections to ensure the oil stays where it should. The outer tank is made of lead-proof corrosion resistant steel which is capable of containing at least 110% of the capacity of the inner tank for maximum protection. Roth tanks are completely rust-free, inside and out. Minimize the potential dangers and disasters of oil spills and leaks caused by corrosion. * The outer tank is made out of galvanized steel, rollseamed (no welds) with an oil and fire resistant seal, making it one of the safest and most reliable tanks on the market. Roth uses state-of-the-art technology to ensure maximum storage safety and minimum space requirements. At Roth, we refuse to compromise on material or construction. Forget about the problems of oil odors and the dangers of oil leaks. * Roth tanks exceed the most recent industry safety regulations. Quality control of our finished products is carried out according to exacting standards, ensuring consistent superior quality. Each tank undergoes thorough testing, including ultrasound tests to ensure optimal thickness of plastic and pressure testing to ensure the tank is sealed completely. Roth tanks can be used for heating oil, diesel and bio fuels (up to B20). Since 1971 more than 3 million Roth tanks have been installed in Europe and North America. Roth tanks last longer than ever before due to the outstanding quality and the unbeatable guarantee. That is why Roth tanks enjoy such an enviable reputation. Roth Industries has extended its current warranty policy to a 30-year limited warranty.Â This warranty change covers failure of the tank due to workmanship or material defects as well as failure of the internal tank due to internal corrosion (the manner in which all steel tanks fail).Â The warranty also includes $2M of insurance against property damages caused by spill.